In this collection of poems, Al-Yagout boldly navigates a journey of grief and a pain so profound it leads her to Source. 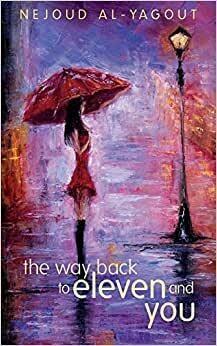 The Way Back To Eleven And You is a tear-jerker and will resonate deeply with those who have loved and lost. Nejoud Al-Yagout is the author of The Way Back To Eleven and You, Co-Exist Kuwait: Quotes and Notes, Arising Here, Now, Sacred Nothingness, This is an imprint, Awake in the Game of Pretending, And The Raven Recites, Beyond and Not Quite, Ounces of Oneness, The Waltz of This and That (which was translated into Italian), The Waltz Returns. In June 2016, an essay of hers was published in Poetry as a Spiritual Practice: Illuminating the Awakened Women, a book consisting of reflective essays and poems from fifty women around the globe. Her articles and poems have been featured in Tikkun, Best Self Magazine, Women's Spiritual Poetry, The Master Shift, Thought Catalog, Arab Times, The Divan, Kuwait Times, Al Rai and Global Chatter Magazine.